Photos, tapes and other memorabilia are flowing into the Tucson Rodeo Office as a result of a call to the community to help build the Rodeo's historic archive. These are some of the photos collected recently. © 2004-2013 Tucson Rodeo Committee. All rights reserved. Author: Paul L Grimes. Full of historical photos this 176 page book plus appendices tells the tales and stories of "La Fiesta de los Vaqueros Rodeo Parade." Published by Tucson Rodeo Parade Committee (1991), Read more about the Tucson Rodeo Parade & Museum . 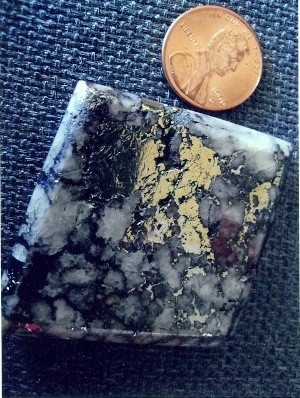 Extremely rare serpentine with white quartz, gold, silver and copper ores from mines miles within Tucson's Mt. Lemmon and Santa Catalina mountains. Unique, one-of-a-kind specimens, southwestern artwork and fashioned jewelry by local artist Flint Carter. Call 520-289-4566.